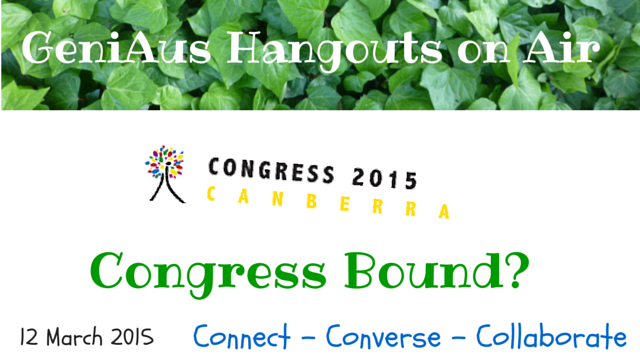 While we will be discussing AFFHO Congress 2015 that will be held in Canberra in just two weeks time everyone is welcome to view the live Hangout or watch it later here on my Youtube Channel. To take part in the chat that is associated with the Hangout you wll need to be a member of the GeniAus' Community on Google+. If you have questions about Congress contact me and I will try to respond to them in the Hangout.